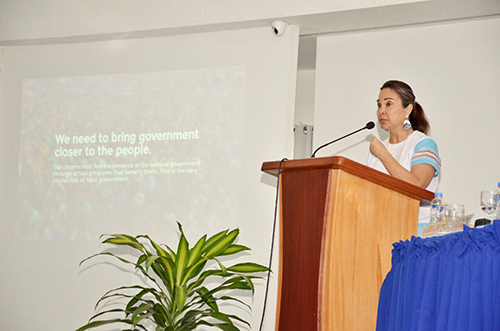 We Need to Bring Government Closer to the People: Senator Loren Legarda at the Joint Meeting of the Region VI Regional Development Council (RDC) and the Regional Peace and Order Council (RPOC) held in Boracay Island on March 15, 2019. Legarda stressed the need for local government units (LGUs) to bring government programs closer to the people through stronger coordination and seamless convergence with government agencies. Legarda also shared points on how LGUs can further improve performance on the core areas of governance—financial administration, business-friendliness and competitiveness, social protection, peace and order, disaster preparedness, environmental management, and tourism, culture and the arts.